Presenting 20 pretty and intricate nail art designs to sport this Karva Chauth! On the onset of Karva Chauth festivities, let’s decorate our hands in style. Other than the gorgeous mehndi design to flaunt this year, might as well get our nails painted in pretty nail art designs? From embellished designs to the traditional and intricate Rangoli designs inspired by the festivities, Zuri brings to you 20 intricate nail art designs that are sure to go well with a range of outfits. 1. Detailed Rangoli Designs: This one is beautiful and can be flaunted with a traditional Indian attire. Go for paisleys, peacocks, and other Indian motifs in colorful, vibrant shades. 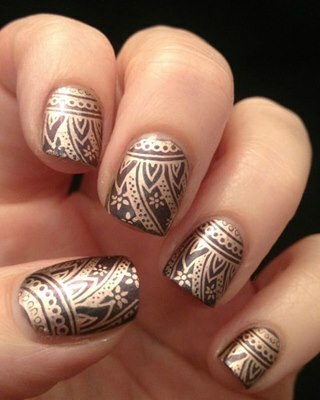 The idea is to have a mini Rangoli design created on your fingernails for an ultimate festive look! You can try Indian embroidery designs easily at home using a toothpick. For a professional look, we suggest you seek the help of a professional. 2. Fun Graphic Designs: For all those young brides and ladies who love a dash of fun in their everyday life, go get your nails painted in fun graphics. Smileys, funny messages, cute little motifs such as cupcakes or any other food item that you love the most but can’t eat due to the annual ritual of fasting.. Well! Here is the chance to show the world your wacky side. Draw your inspiration from our highly recommended as well as creative nail art designs which will leave the world baffled. Going graphic is the only way to wear your fun attitude in style this festive season! 3. Heavily Embellishes Designs: You can amp up your normal looking manicure with a few studs and stones thrown on the fingernails for a heavily embellished look. 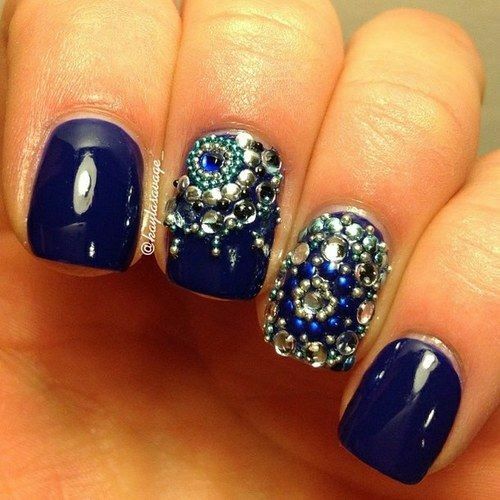 One of the hottest trends in the nail art scene, the embellished nail art design can be achieved at home by converting a simple manicure into a glittery, jeweled and bold embellished nails. All you need is a stock of colorful stones, sequins, stick-ons, little pearls, and other sparkly embellishments which are easily available in the market these days. 4. Artistic Designs: From the ‘Starry Night’ by Vincent Van Gogh to your own version of ‘Irises’, this Karva Chauth, flaunt your floral skirt and cropped top with best of the best artistic designs inspired by famous masterpieces! 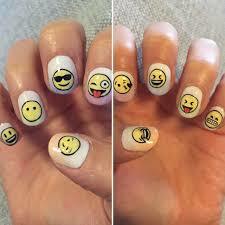 You can also use your own creativity and use nail colors which compliment your makeup and the outfit. 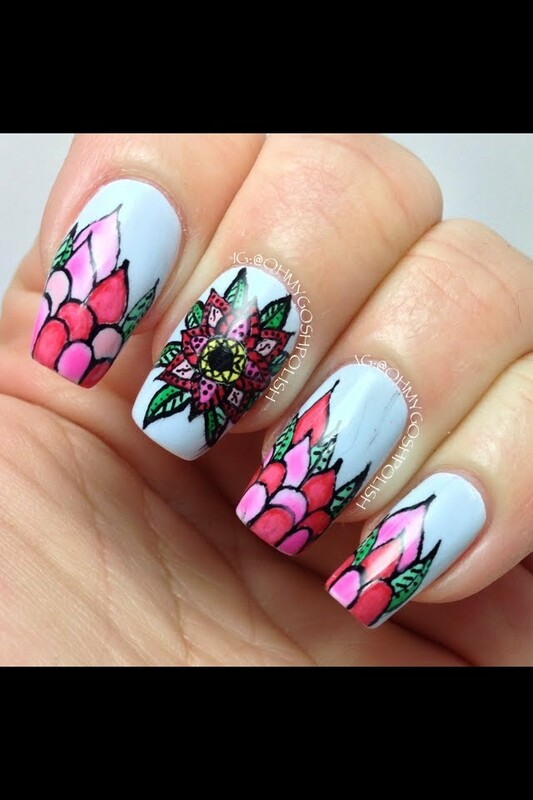 Do tell us which one of these nail art designs caught your special attention!